WarLight has just been upgraded to 1.13.3! This blog post contains a summary of what’s changed. This update contains a lot of additions and improvements to the iPhone and Android clients. The website received a few improvements and bugfixes as well. – The Map page now has links to start both single and multi-player games using that map. – The vacations page now shows how many vacations you’ve used this year and how many remain. – Loading a finished auto-save single-player game now causes it to record the win on your profile. This is useful if you lost internet connection when it tried to record the win the first time. – Made a small change to the camera so it doesn’t move as often when trying to focus on territories near the edge of the map. – Added a horizontal scroll bar to the map preview so distributions with long names can be seen entirely. – The sign-in page now defaults the “keep me signed in” box to checked. This helps prevent session timeout problems. – Fixed a bug that could cause private messages to duplicate if you hit enter multiple times. – Fixed a bug that made the “Okay” button of the attack/transfer dialog not work if you first tried to issue an attack of 0 orders. – Fixed a bug that would cause the “team chat pending” flag to stay stuck on if you declined a game without reading team chat, were removed by the host before you could read the team chat, or if the host swapped you from a team with unread team chat to a team with no team chat at all. – Fixed a bug that could cause the “team chat pending” flag to stay stuck on if the player’s internet connection was unreliable. – Fixed a bug that could cause the attack/transfer dialog to think you clicked the okay button when you actually clicked elsewhere. – Fixed a bug that could cause an error message when changing a development map to testing if it had a newly-created issue preventing it from being changed. – Fixed a bug that caused an error if you tried to add someone to your invite list after your session had timed out. This update contains a lot of improvements and bugfixes for the Android version. As usual, members can install it via the Android Installation wiki page. – You can now re-arrange orders in the orders list. Simply drag the little up/down arrows. – The orders list now slides in and out when tapping the widget in the upper-right. You can choose to either tap or slide it out. – You can now tap orders in the orders list to select them, which also makes the camera focus on them just like in the web client. – You can now double-tap on an order in the orders list to bring up extra information about it. This shows the same information that the web client shows when hovering your mouse over the order. – You can now surrender and un-surrender via the game menu. – Added the Players button to the game menu, which shows the data that the web client normally shows in the lower-right corner. This also allows you to accept and un-accept surrenders. – Added the teammate warning, which causes the app to ask you if you want to attack or transfer to your teammates if it’s enabled in the Settings tab. – Added the diplomacy warning, which causes the app to let you know when you try to issue an attack to a player that you can’t attack due to the diplomacy card. – Improved layout on large-screen devices, such as tablets and iPads. More work is still needed, but it’s better than it was. – Your device’s screen will no longer fade or go to sleep while game animations are playing. – The army numbers no longer look as pixellated. – The automatic zoom now zooms you in slightly further. – Overhauled the lobby’s players list so it’s more presentable, and now also shows if you’ve blacklisted a player as the web client’s lobby does. – Fixed numerous bugs that occurred when there was both pending public chat and pending team chat, and you read one type without reading the other. – Fixed a bug with the camera movements that caused it to wobble a bit. – Fixed a bug that caused an error when tapping the “No cards” label in some cases. – Fixed a bug that caused an error if you locked and unlocked your phone while looking at a game. – Fixed a bug that caused the map to jump around while deploying at very specific zoom levels. – Fixed a bug that caused an error if you typed messages longer than 1024 characters. Congratulations to Rubik87 for winning Season III! Rubik87 has now won two of the three seasons – very impressive! Season IV will be a luck-less version of the Strategic 1v1 template. Its settings can be accessed by this template: multi-player / single-player. A couple tweaks have been made to the ranking system from Season III. The biggest change has to do with the way players are matched up. In Season III, players were given games against players with similar ratings to them. This ends up making players move very slowly up or down the ladder once they get established. To counter this, the matchmaking algorithm will now look at your win/loss record in that season in addition to your rating. Your rating will be adjusted by 80 points for each win/loss over/under an even record ((wins – losses) * 80). This adjusted rating isn’t displayed anywhere, rather it’s used when determining who you’ll be matched against. This will help players who get a late start to the season but win a lot of their early games, helping them get matched against tougher opponents until they start losing. When thinking about this change, it’s important to remember that the rating itself is already affected by your win/loss record. Therefore, it’s not fair to say that your win/loss record wasn’t taken into account for matchmaking in Season III. It’s fair to say that it’s weighted more heavily for matchmaking in Season IV. In Season III, this was implemented by simply adding 40 points for each finished game, win or loss, up to 20. This has the unintended side-effect of making players who finish games faster get a temporarily higher rating than players who finish them slower. Since your rating is used for matchmaking, this in essence was a penalty to slower players. This is being corrected for Season IV – the points will be added as each game is created, not when they’re finished. WarLight has just been updated to version 1.13.2! This blog post describes what’s changed. WarLight now allows members to control the way that rounding works in combat. When creating a game, members can choose between either Weighted Random or Straight Round. Weighted Random is the way that all WarLight games have worked up until this point. In this mode, if a combat calculation has a remainder, say 4.3, WarLight will round it up to five 30% of the time, and round it down to four 70% of the time. Straight Round is a new setting. In this mode, WarLight will always round remainders to the closest number. For example, 4.3 will always round down to four. This is great for those who don’t like random factors in their games. When combined with cyclic move order, fixed cards, and no wastelands, it’s now possible to remove almost all luck from a WarLight game. The only random factor that can’t be removed is the initial seed to the cyclic move order. That means that, if configured properly, you can play a WarLight game that has literally only one random event throughout the entire game. The same chat room that’s been abuzz on the forums lately now has its own dedicated sub-tab under the Community tab. Drop by if you fancy a conversation. The forums now allow players to format their posts using BBCode instead of Markdown. This has a few benefits and a few drawbacks, but in the end it was a necessary change for security purposes. One issue with the old system is that posters would often accidentally activate a feature. For example, in Markdown, starting a line with a pound sign (#) indicated it was a header. This often took players by surprise. BBCode makes the forum formatting much more explicit, so it’s unlikely this kind of accident will happen. Another issue with the old system became apparent whenever someone would make a list of links. Markdown would only making every other link clickable. The new system will properly make all links clickable. – Players who are inactive for more than 20 days are now automatically removed from ladders. They will be sent an e-mail notifying them of this event. – The automatic zooming now zooms 20% less far in. – Changed the way that Flash authenticates with the website to a more secure method. – Fixed a bug that occurred when you clicked a map review’s edit button multiple times. – Fixed a bug with the lobby that made the headers be mis-aligned over the player names. – Fixed a bug that could make your income go negative when negative sanctions took it over 2 billion. Instead, your income will just be 0, which still isn’t correct but at least it will no longer break the game. 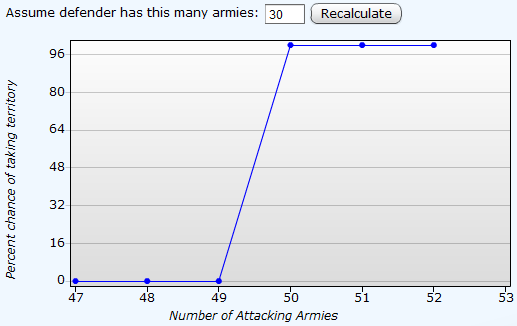 – Fixed a bug that made the browser hang if you tried to graph a game’s statistics before the first turn completed. – Fixed a bug that gave an error if you tried to use the Statistics panel during territory distribution. – Fixed a bug with the in-game map browser that caused maps to show the wrong page when changing filters. – Fixed a bug that occurred if you clicked “okay” in the attack/transfer dialog and pressed enter immediately after. – Fixed a bug that caused an error message if you sent a message over 1024 characters to tournament chat. – Fixed a bug that caused an error message when loading history on games that had turns where no players entered an order. – Fixed a bug that caused an error message if you clicked re-do orders but then all opponents committed orders and the game refreshed before you clicked confirm.